The Nokia Lumia 1020 is for the majority of the company’s fans the best smartphone to have come out of the Nokia-Microsoft partnership so far. It has presumably the best display Nokia currently makes, as well as presumably the best camera that’s even been fitted to a smartphone. We have yet to test those on our dedicated review, but one thing we did already test is battery life. A 2,000mAh battery doesn’t sound like much, but it powers a frugal dual-core processor and an AMOLED display. Combine this with the efficient Windows Phone 8 OS, and the Lumia 1020 promises to be a long-distance runner in our battery life test. And indeed, it’s off to a great start in our Talk time test. It doesn’t quite match the awesome result that its smaller brethren, the Lumia 625, achieved, but it still made it to the top ten. At 22 hours and 13 minutes, it managed to beat the aging Motorola RAZR MAXX and is as good as Huawei’s latest 7″ 3G tablet. Notably, the latter sports a much, much larger battery, and still didn’t fare quite well against the efficient Lumia 1020. Another thing to note here is that the Xperia Z1 managed to last some four hours longer. 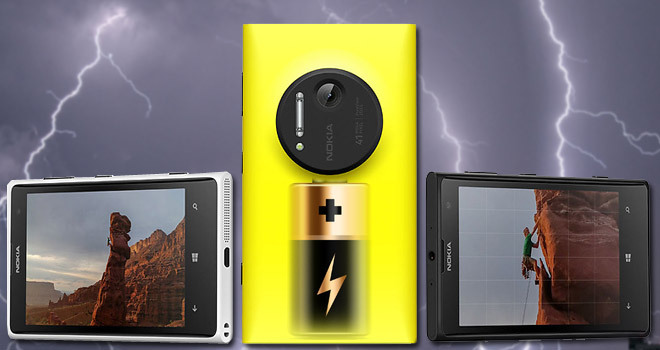 0 Response to "The Nokia Lumia 1020 battery test "